White composite fillings are a popular esthetic alternative to traditional silver amalgam fillings. 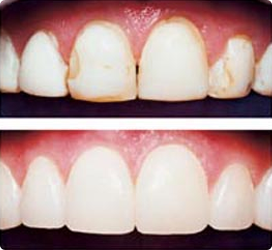 Dr Hassey and Dr Do Duy have many years of experience placing these restorations. Systematic replacement of all silver amalgam fillings with white composite fillings are not necessarily in the patient’s best interest. Considerations are taken regarding the appropriate material selection for each restoration and is evaluated on a case by case basis.